Home » Messenger News » Election campaigns via WhatsApp – yea or nay? It was already THE topic in the 2016 presidential election in the US: elections and social media. And now in 2018, elections were coming up in a variety of countries: the Czech Republic, Columbia, Mexico, Pakistan, Cambodia, and Brazil, to name just a few. The top topic is always: election campaign over WhatsApp! What’s allowed, how does it work, and what’s the point? Politics is a really intimate and emotional topic – which makes personal channels like WhatsApp even more ideal for discussing political issues individually and in private, whether with family members or friends. With the quickly-growing global WhatsApp reach, this messaging app is also becoming more and more important in the political environment. In this article we want to look back at the presidential elections in Colombia and Brazil n 2018 and observe what is happening in India and Spain – before the 2019 elections. 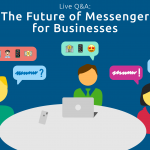 Get started with MessengerPeople. Try your non-binding 14-day free trial now! WhatsApp has announced two new features shortly before the start of the elections in India – which will take place between April 11, 2019 and May 12. Final vote taking is on May 23. WhatsApp has launched a fact-checking news service ahead of the Indian elections. The reason for this is the many fatal fake news scandals in India during previous elections. But how does it work? According to TheVerge, interested users can find out if messages are either “true,” “false,” “misleading,” or “disputed” by just forwarding them to the Checkpoint Tipline, where a team lead by the local startup Proto, which partnered with WhatsApp on this project, will assess and mark these accordingly. Messages can either be suspicious texts, links or photos that the user has received and wonders if they are true or not. According to BuzzFeed though, the Checkpoint project primarily serves to research the phenomenon of fake news and secondarily to offer direct help. There are far more inquiries being sent than initially thought when starting the project. Apparently it also takes quite some time before the user receives an answer to the status of truth of his forwarded message. WhatsApp users can no longer simply be added to groups if they are not in each other’s address books. WABetainfo explained this in his article. In the future you will receive a request info. Especially in India before the elections, where it is almost normal to be added to all sorts of different groups, the WhatsApp Group Invitation feature is well received. The feature is currently being rolled out worldwide, with Android first. Read more about how exactly this feature works in our WhatsApp Update 2019 article. After the many previous fake news scandals, which in India actually caused deaths, in cases where lynch mobs fatally beat people, Facebook is taking more and more action to regulate their daughter company WhatsApp. Fake news is an extremely popular tool during elections, primarily used to drag candidates into the press in a negative light. For the election in May 2019, Facebook is in close contact with the Indian government, so they can take collaborative action against the spreading of false information. 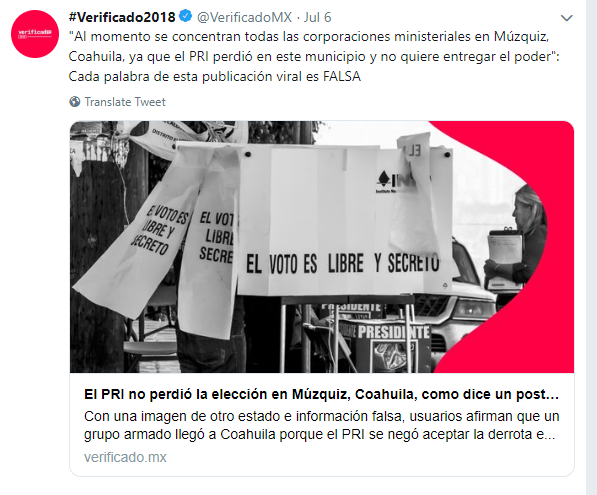 According to the Economic Times, WhatsApp is following a similar procedure as they did for the 2018 election in Mexico: “Verificados.” This initiative was created by more than 90 organizations, including universities and NGOs, such as Facebook and Google. 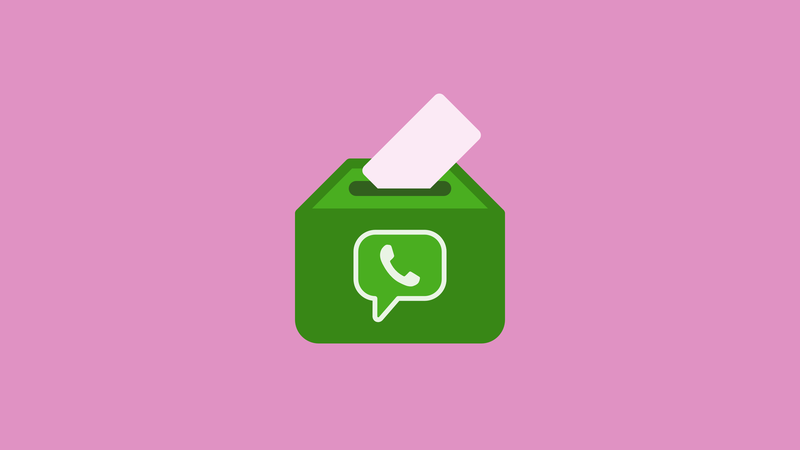 During the election, users can send messages or photos to “Verificados” and then receive an answer as to whether the statement is true or not. A team of journalists makes up the Verificados. This campaign was financed by WhatsApp, Google, and Twitter, among others. In India, it’s planned to scan all posts with the help of an AI-based Searchbot, and to block suspicious users immediately. Important for WhatsApp: The company wants to protect data and message privacy at all costs. This is guaranteed through End-to-End encryption. 91% of Indian internet users actively use messaging apps. It’s no surprise, that elections also partially take place over mobile chats. However, WhatsApp has said that spam and automated messages are not going to play a role in this election in India. In Spain, it’s already a trending topic: how to reach voters best. WhatsApp is used by 73% of the population, which will make things interesting in the next election. On October 18th, 2018, the new law protecting personal data and defending digital rights was passed. Now, political parties can use any personal data which is openly available for their campaigns — that means personal data gathered on websites, social media, or anywhere else. Sending messages without previous consent from the users is allowed. This new law is extremely controversial. It not only makes classic „spam“ messages (messages that the user hasn’t actively agreed to receive) legal, but also means that there is no regulation about deleting people’s personal data after it has been used. However, users still legally have the possibility to refuse this handling of their data. We’re excited to see how this election in Spain develops further. In Brazil, the combination of WhatsApp and politics was seen fairly negatively: fake news and spam were distributed with allegedly illegal telephone number purchases. The first voting round let to no final result, so Brazil had another vote on October 28th between the two most popular candidates. 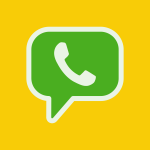 The newspaper Folha de São Paulo reported about a scandal where hundreds of thousands of telephone numbers were purchased to send Brazilians fake political news over WhatsApp. Apparently businesses that supported the leading presidential candidate Jair Bolsonaro hired digital marketing agencies to spread fake news on an enormous scale. Financing political campaigns with the help of companies is illegal, which makes this topic even more controversial. The candidate who ended up winning the election, denied having given the orders to create this type of campaign. 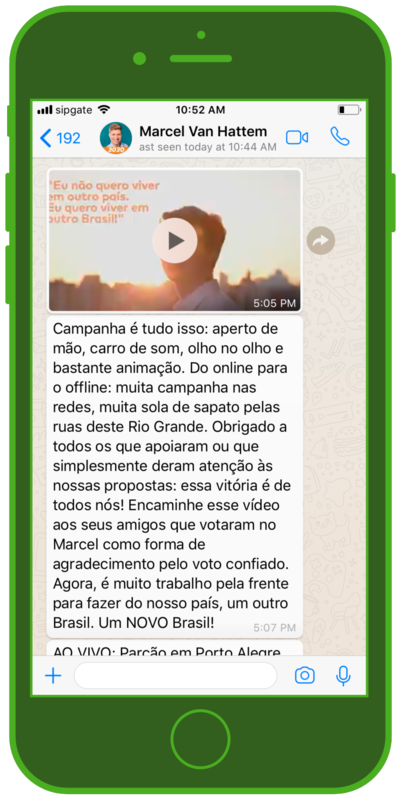 With 120 million active Brazilian WhatsApp users, it’s no surprise that people are also using WhatsApp for political information. The representative Marcel van Hattem uses the legal MessengerPeople solution The presidential candidate Marcel van Hattem was extremely satisfied with his campaign, which he also developed over his WhatsApp channel. 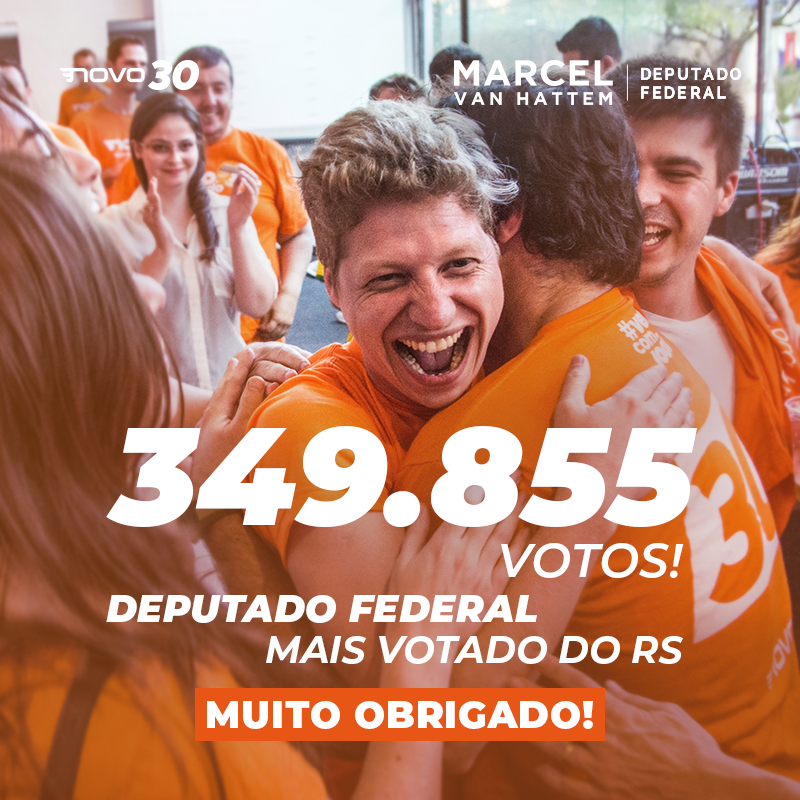 He received 350,000 votes and was thus the representative from his region, Rio Grande do Sul, with the highest votes – and place two was far behind, with only 180,000 votes. The first round of the presidential election in Columbia was on May 27th, 2018, and ended with the final ballot on June 17th, 2018, between the two candidates with the highest number of votes: Iván Duque and Gustavo Petro. In Columbia, WhatsApp was an extremely widespread topic before the election. 87.3% of the population are active WhatsApp users — the green messaging app clearly dominates the local messaging market. But this channel was a big problem in the distribution of fake news. False information about the presidential candidates and their political motives were spread over WhatsApp, primarily to agitate the masses, or influence them politically. This created distrust and insecurity. How can this be avoided? MessengerPeople offers a fully legally sound solution for election information via messaging apps. In the next sections, we’ll see what actions other countries take against these kind of issues, for example what kind of changes Facebook have also implemented. GDPR-compliant political WhatsApp channels with relevant content? Try our tool for 14 days free! 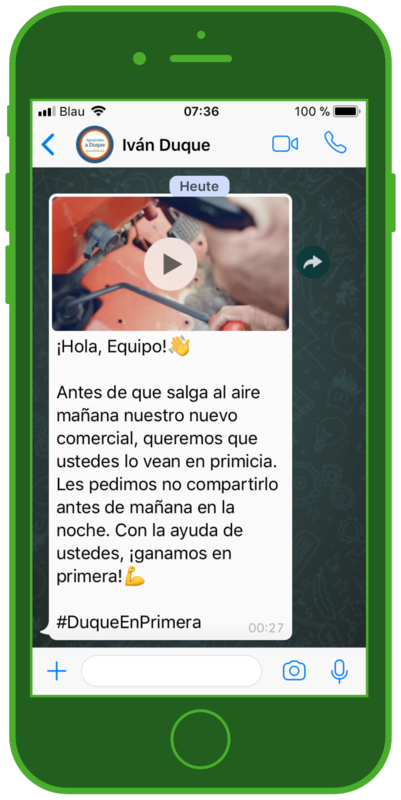 Iván Duque, the winner of the presidential election, uses the MessengerPeople service successfully to inform subscribers over his WhatsApp channel.